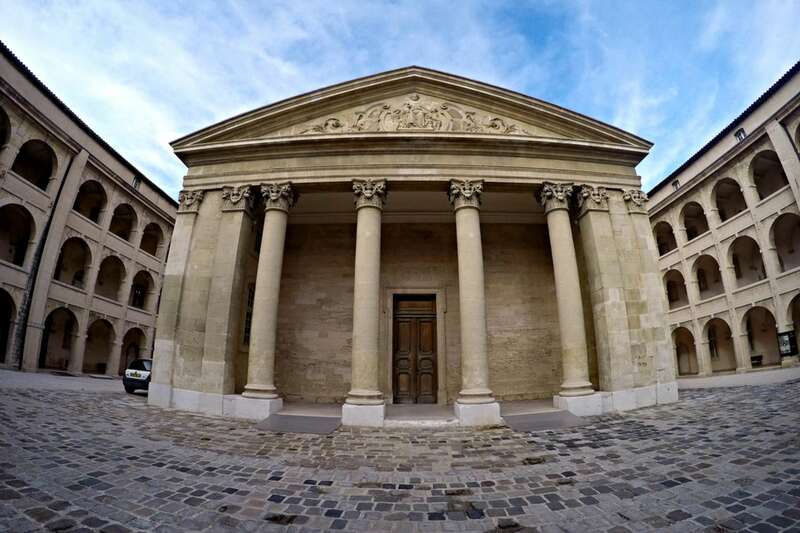 Thanks to its strategic location, Marseille has been an important trade port in France for centuries, in turn making it a gateway city for immigrants from around the world. 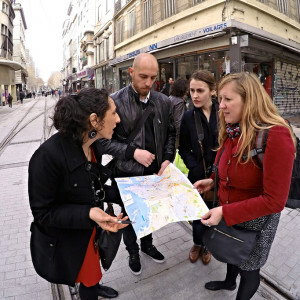 On this 3-hour Marseille Walking Tour with a local historian, we'll visit the vibrant neighborhoods of the Vieux Port, Le Panier, and other areas within the historic center of Marseille. We'll explore the themes that are central to its history, from its Greco-Roman beginnings to today, including the impact (and importance) of trade on the city's multicultural DNA. 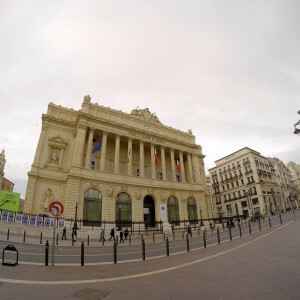 Naturally, we will begin our tour with Marseille's Vieux Port (old port), one of the worlds largest natural harbors around which the entire city developed. 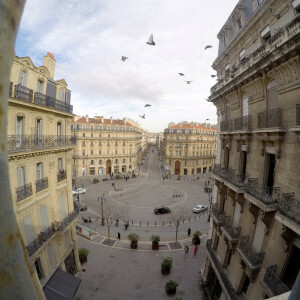 (The Vieux Port is not be confused with the newer cruise ship port that is located outside of the city center). As we walk around its perimeter, now pedestrianized and lined with lively seafood restaurants, we'll discuss how and why the region attracted its first foreigners. These were, of course, the Greeks, who named the area "Massalia." In fact, new construction in the early 21st century revealed remains of the former Greek port, just a stone's throw from the current one. Together, we will take the opportunity to view these remains, allowing our discussion to turn to how the city prospered from maritime trade in the coming centuries. 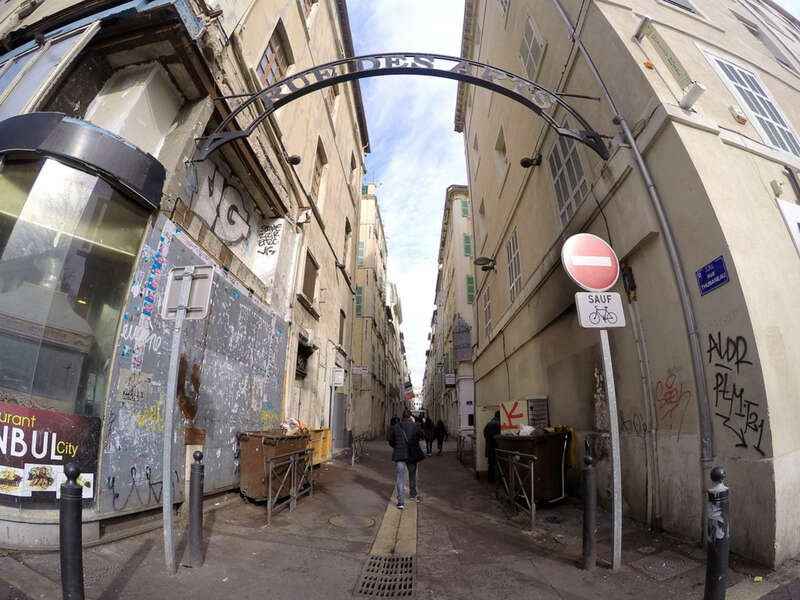 Moving on, we'll cross Marseille's main boulevard, La Canebière, finding ourselves in some of Marseille's most renowned quartiers: Noailles and Belsunce. 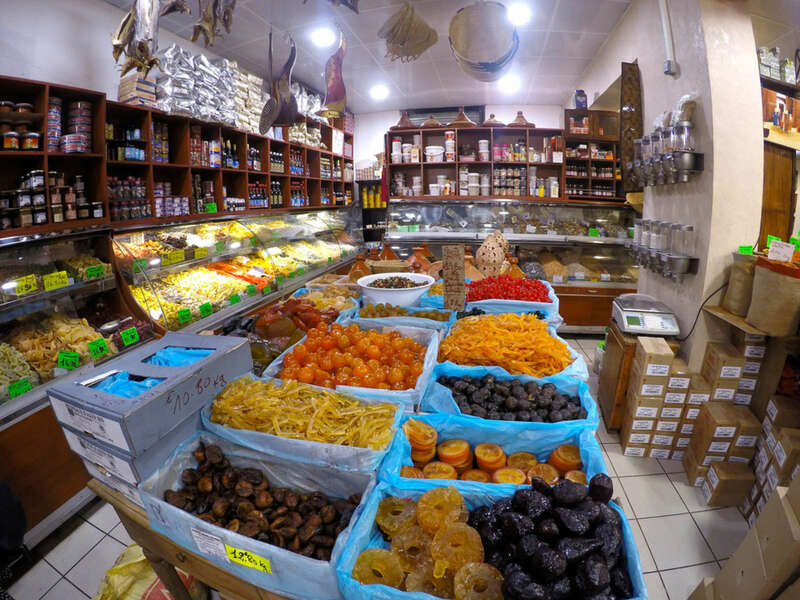 We'll spend time wandering colorful Noailles, which has become the center of Maghreb culture in the city. 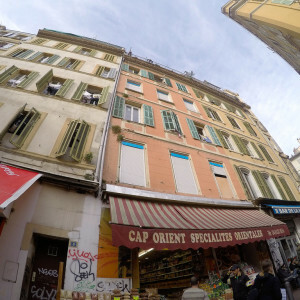 Peeking in and out of the markets and traditional establishments, we'll examine the story of this particular immigrant group and it's significance within the contemporary history of Marseille and France. 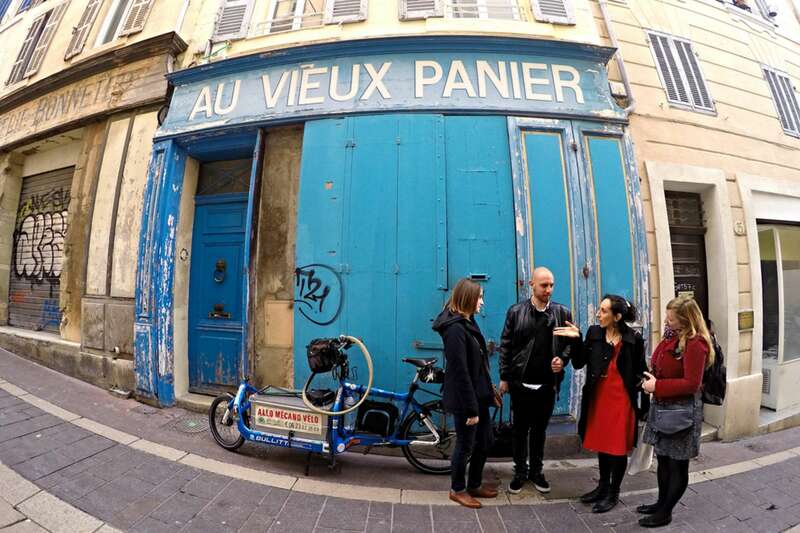 Note, if this topic is of interest and you're visiting Paris, take a look at our Paris Immigration Tour. 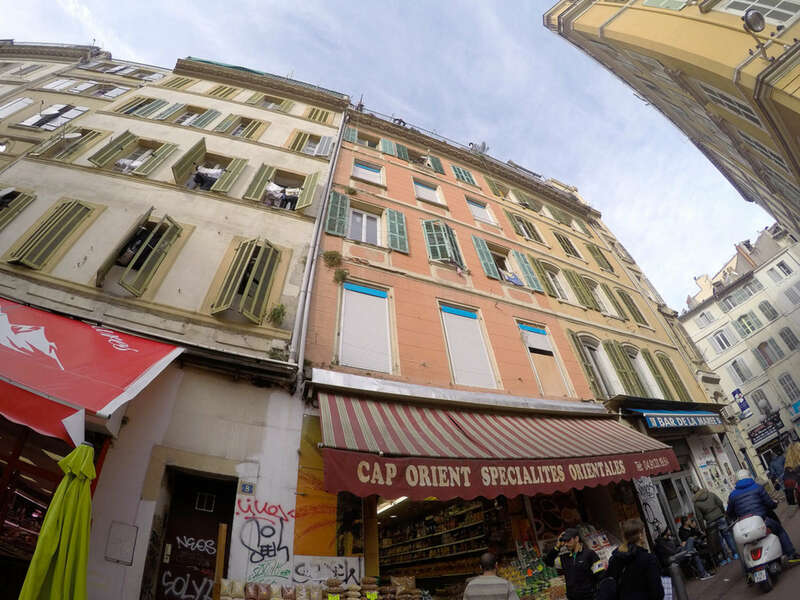 As we make our way through Marseille's varied neighborhoods, we will weave a narrative of the city's multicultural fabric. Moving on to the Le Panier district, we will have the chance to view another historically immigrant neighborhood that has in the last decade enjoyed a renaissance of sorts. 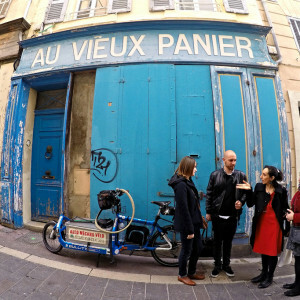 Despite prominence during WWII for its resistance activities, Le Panier later slipped into impoverished obscurity before being recently transformed into a center for artists. This has revitalized the neighborhood, luring in locals and tourists alike. 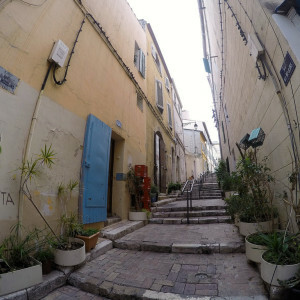 We'll stroll by art studios, creative shops, and of course, the area's most iconic resident: La Vieille Charité. Built in the 17th century, it served as an almshouse. Now, in keeping with the trends of the rest of the neighborhood, it is a museum and cultural center. We'll end our walk in front of the nearby MUCEM (Museum of European and Mediterranean Civilizations), inaugurated in 2013 in honor of Marseille's selection as that year's European Capital of Culture. 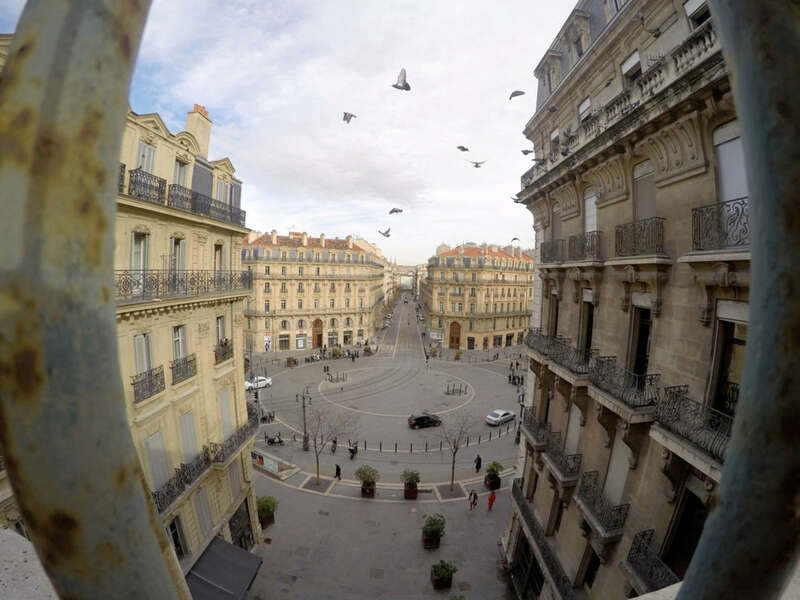 As our time together comes to a close, we will reflect upon the evolution of the city and the timeline of immigration and industrialization that has shaped present day Marseille. 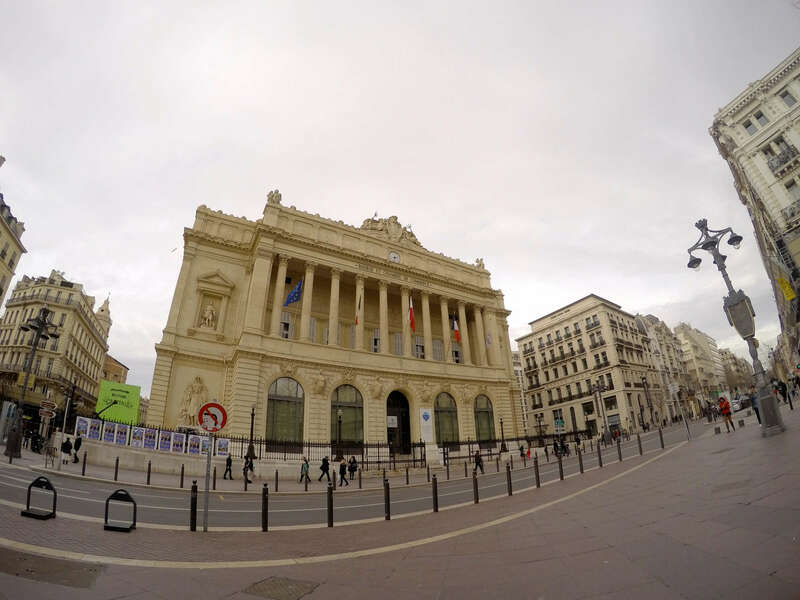 From its Greco-Roman origins to its role as an immigrant hub and artistic center, we will understand the ways in which the city continues to adapt, embracing multiple cultures under the umbrella of Marseillaise identity. 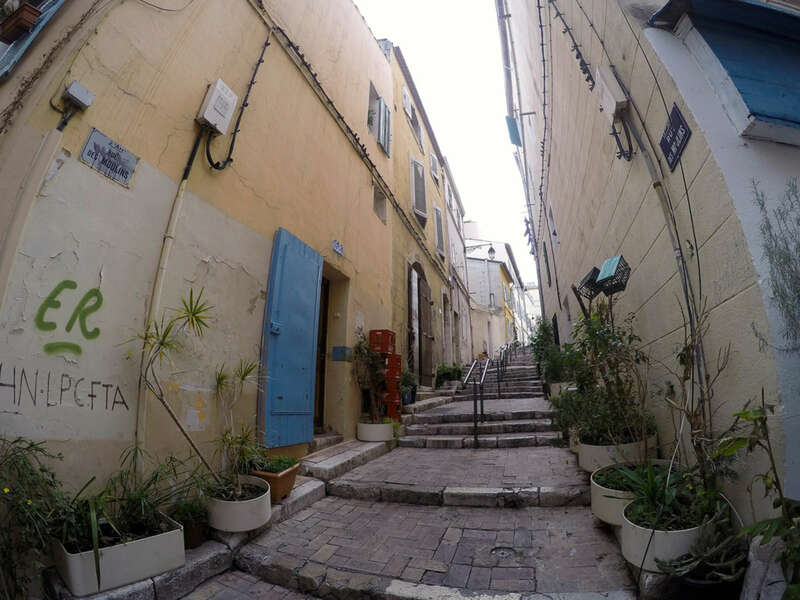 As we consider the broad evolution of this Mediterranean metropolis, we will come away with a newfound knowledge of different influences combining to create conditions for artistic exploration to thrive within a multicultural context. 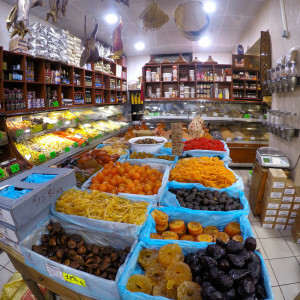 Exploring the south of France? Try our Provence Tour. Is this seminar walking intensive? We do cover extensive territory on this seminar, some of it by public transport. Please contact us if you have mobility concerns; we will be happy to advise if this seminar will be appropriate for you. 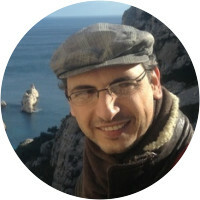 Mohammad Hassouna is an interdisciplinary scientist, holds a PhD in Environmental Chemistry and a master degree in Populations’ Biology and Ecosystems Management. 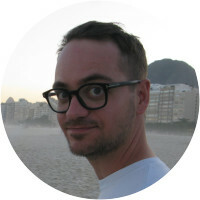 Over the past ten years, he worked as a senior consultant for the Geneva-based NGO Zoï Environment Network (2011-2013), as a post-doctoral researcher and lecturer at the Université de Lausanne in Switzerland (2007-2010), and a post-doctoral researcher at the Université de Provence in France (2006-2007). 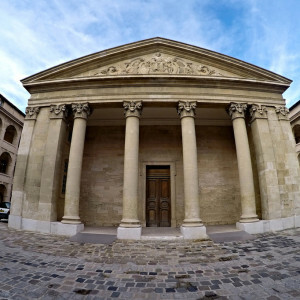 Since 2014, Mr. Hassouna is a lecturer at the Institute for American Universities (IAU) in Aix-en-Provence where he teaches Ecology of France and the Mediterranean. Mr. Hassouna is fluent in English, French and Hebrew, besides Arabic his native language. Pamela was incredibly patient and engaging. 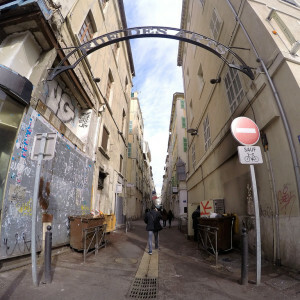 She is an extremely talented artist and we thoroughly enjoyed seeing Marseille through her eyes! Pamela was awesome! 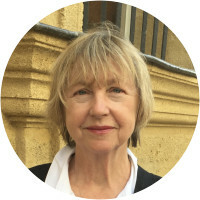 She took a few minutes at the beginning to hear what we'd already done and seen in the city, and what kinds of stuff we were into, and customized a tour itinerary that would be right up our alley. She answered all our questions thoughtfully, and explained *so* many things that we'd walked right by in the last couple of days and had no idea what we were seeing. :) She left us with a million recommendations for stuff to get to later, and we got right down to it the moment she left us. 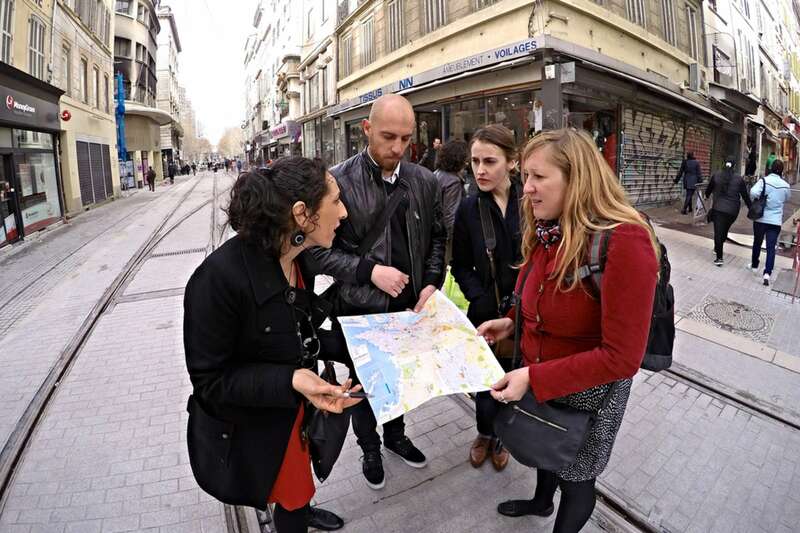 She so loves Marseille and is a wonderful guide! Billy G. was extremely knowledgeable and imparted his knowledge with a lot of enthusiasm and obvious passion. We loved this walk!